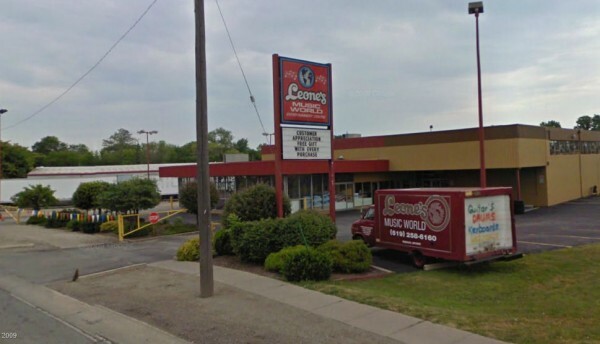 Long time local Windsor Music Store Leone’s Music World was placed into Receivership by the courts on September 27th. The court appointed receiver Grant Thornton Limited has appointed Hilco Industrial to carry out a liquidation sale of the Dougall Road stores entire inventory. Leone’s has $800,000 worth of inventory on sale with discounts between 40% and 70% off. Inventory includes microphones, electric & acoustic guitars, pianos, drum sets, speakers, mixers, keyboards, amps and much more. You can see a picture catalog of the stores inventory on Hilco’s website. Leone’s has been a staple on the Windsor music front since 1962. They have had several locations on Tecumseh Road before moving to their current location.